At IRevive Health & Wellness our staff has made it a priority to make every patient experience or interaction positive with a lasting impression. Weight management patients will leave our office feeling confident with the tools and education we provide at every visit. With weight maintenance we realize it can be easy to fall off course, we also realize that being over weight can be an extremely sensitive topic. Our weight loss professionals aim to make our patients feel comfortable and confident with their plan, supporting our patients in any way we can during the weight loss process. When it comes to IV hydration therapy in Nashville, TN; IRevive Health & Wellness is #1 in providing an environment where patients can safely and comfortably receive treatment. Patients are comfortable knowing our medical professionals have decades of venipuncture experience on all ages and body types. 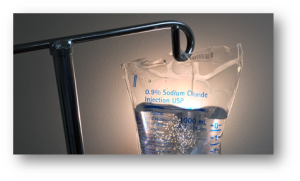 Our practitioners specializing in IV therapy are extremely efficient at locating optimal vein access that will result in quick and comfortable treatment. We are also a locally owned, locally ran business – At no point do our patients feel pressured into receiving treatments they do not necessarily need. 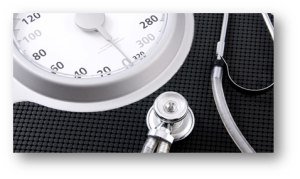 Our practitioners carefully evaluate each patient and provide recommendations based on the patient’s current signs and symptoms of dehydration or vitamin deficiency. Please see reviews below and links to additional patient reviews online! ” I’ve been going to iRevive for two months now and absolutely love it. The staff is so nice and knowledgable and they take the time to answer all the questions I have. I always present as a walk-in and get in quickly with hardly any wait at all. I’ve lost weight using the injections and medication that I hadn’t been able to lose with change in diet and exercise. I am SO happy with the services that iRevive provides and I would recommend them to anyone!” – Kristen G.
“Great Experience! Felt Better Within The Hour. Was fighting a bad cold for a few days, gave iRevive a try – their meyers cocktail worked great I started feeling better within the hour!” – A.H.
“Sarah, NP was selfless and took extra time to speak with me about my daughter’s wellbeing. She was very knowledgeable and truthful. I got a strong sense that the work done at I REVIVE is stemmed in passion and personal dedication. Thank you.” – Dianna S.
“Good Experience. This was my first time using iRevive instead of my usual ‘urgent care’ trip for treating a migraine. On my third day of migraine pain that I just couldn’t kick, I tried iRevive and received a meyer’s cocktail with toradol for pain. Staff was very friendly, and the treatment took place in a quiet, relaxing room, unlike at the regular doctor where it is stressful and has a long wait. I was also able to book my appointment online and get in right away. Would definitely recommend. “ – K.N. “I had a great experience. Jayme was so easy to talk too and he answered all my questions. I’ve been going to the clinic for 2 months now, and I’ve lost almost 30 lbs. His advice and guidance have helped me along the way.” – Brian H.
“I went to IRevive because I needed to lose weight fast but I’m so busy with work, family and school that I can’t go to the gym. I hadn’t tried the phentermine or injections but was very interested in them so I decided to go to IRevive and I’m so glad that I did. I’ve lost 3lbs a week since starting with no changes! I get excited to step on the scale now!! You need to go in and try the max weight lose program it’s amazing! !” – Katelynn S.